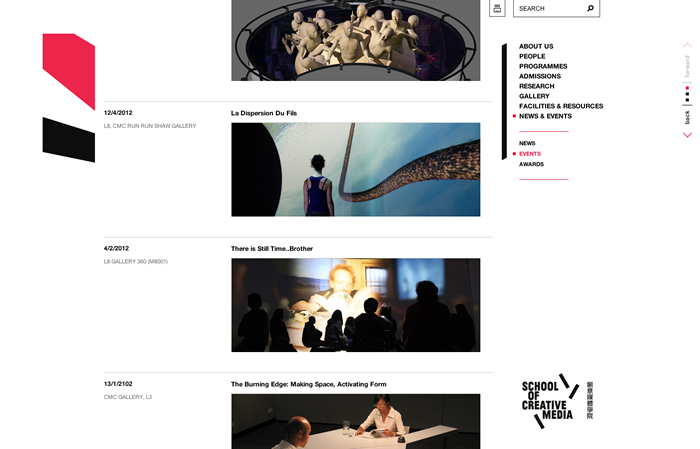 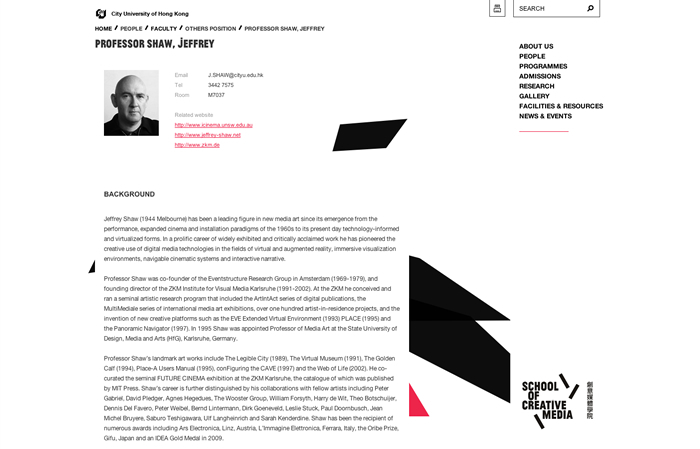 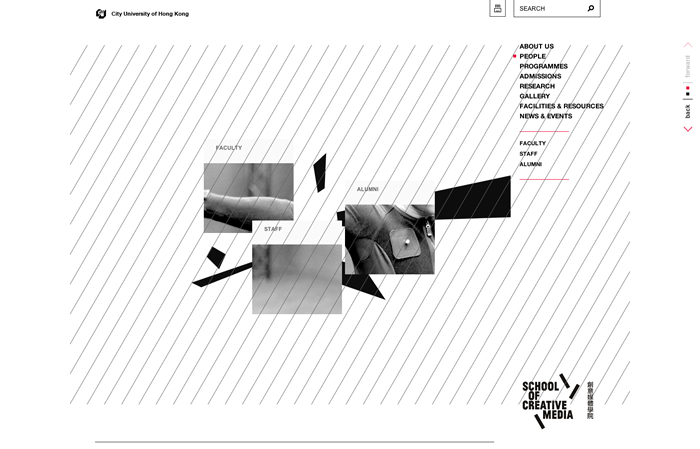 School of Creative Media from City University of Hong Kong, renewed their faculty site. 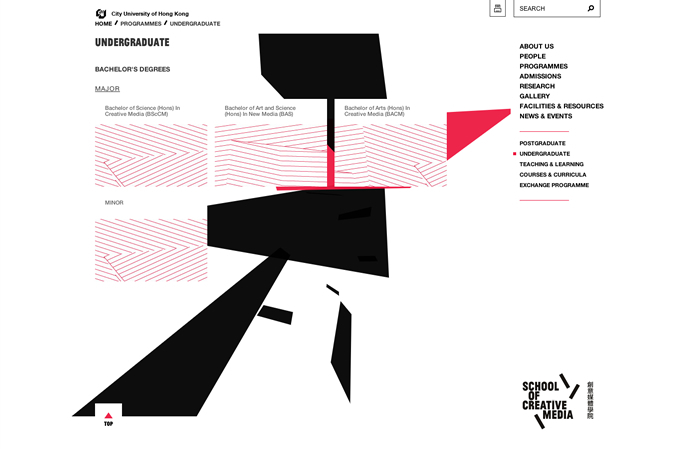 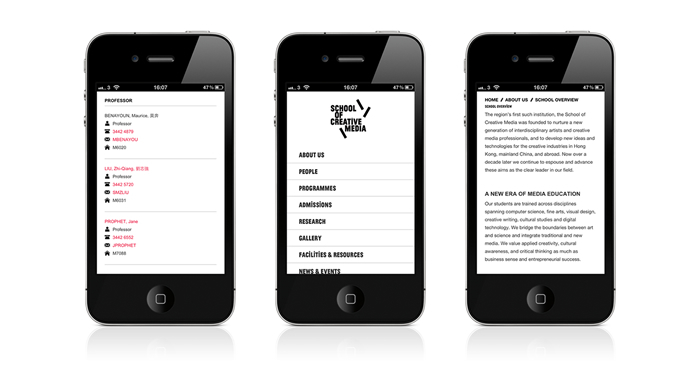 Presented a new approach to media school website interface with a moving background. 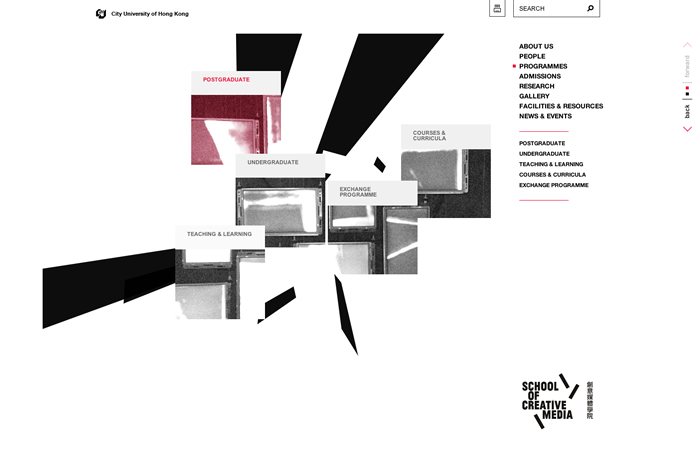 The background was generated based on the new campus’s architectural slope and form unpredictable shape. 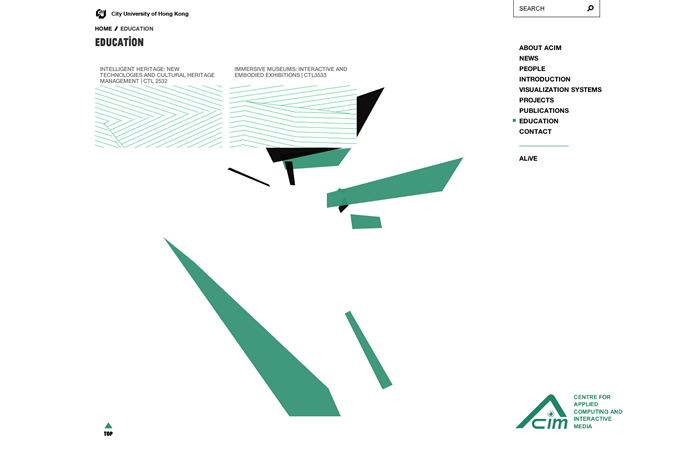 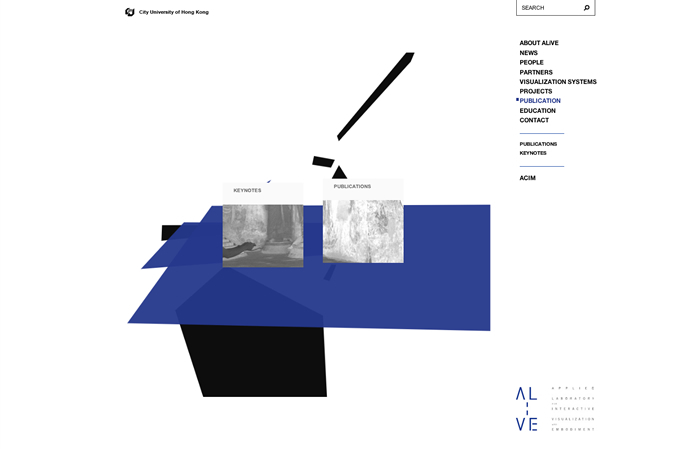 The research websites ALiVE lab and ACIM also share the same design, however different color schemes were applied to differentiate from the School website.